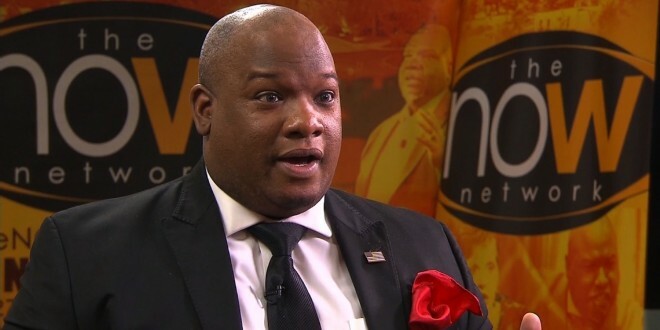 Disgraced Pastor Mark Burns: Trump Is The Winston Churchill Of Our Time Because We're Literally At War - Joe.My.God. “I think the real question is not ‘What is Donald Trump going to do specifically for black Americans?’ but ‘What is Donald Trump, when he becomes president of the United States, going to do for the American citizen?’” Burns told Yahoo News and Finance Anchor Bianna Golodryga. With just 35 days until Election Day, Hillary Clinton is crushing Trump when it comes to support among black voters. In some polls, Trump has been within a margin of error of zero. If you’ve somehow forgotten about this guy and his long list of insane lies, the clip below is hilarious.